The first time I heard this quote, or something like it, was during one of those motivational seminars that sometimes accompany multi-level marketing companies. It struck accord with me instantly. Because when you really think about it, that’s exactly what happens. 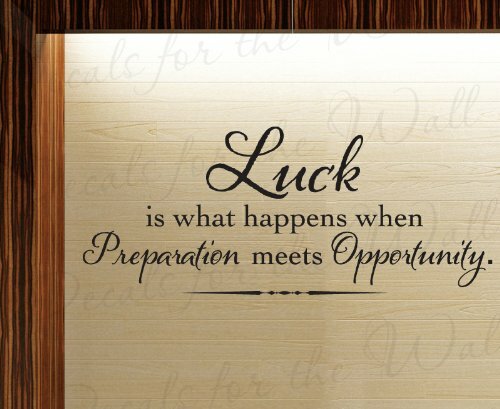 There are many things we can do to prepare for that “moment.” And if we do prepare ourselves, opportunities will present itself simply because we are prepared.